to Retire at Year’s End. 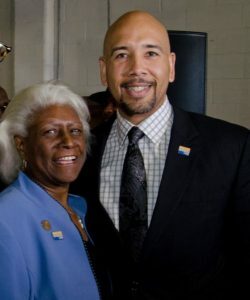 This week Deputy Bronx Borough President Aurelia Greene announced that she would be retiring at the end of the year. Greene will conclude a 35 year career in public service to the people of The Bronx and the State of New York. She was first elected to the State Assembly in 1982 where she rose to Speaker Pro Tempore. She left the Assembly in 2009 to join the new administration of then-newly-elected Borough President Rubén Díaz Jr.
A Diaz spokesman said an announcement regarding the selection of a new Deputy Bronx Borough President will be made in the coming weeks. Although an official announcement regarding the selection of a new Deputy Bronx Borough President is in the offing, several sources say that Marricka Scott-McFadden, a former deputy clerk at the Bronx Board of Elections is the pick. Scott-McFadden, a Democrat, is a former Vice President at Mercury Public Affairs. She was also chief of staff to Assemblyman (now-Speaker) Carl Heastie. Reached for comment, Fernando Ferrer, co-Chairman at Mercury LLC and a former borough president said, “Marricka would be a wonderful choice.” He called her, “Smart, resourceful and ethical.” “You can’t beat that,” he added. On Thursday, Bronx Democrats gathered at the historic Andrew Freedman Home on the Grand Concourse to celebrate a year of accomplishments. Party chairman Assemblyman Marcos Crespo greeted his assembled elected officials, party faithful and honored guests. Among those attending was Mayor Bill de Blasio, BP Ruben Diaz, Jr., Assembly Speaker Carl Heastie, Assemblyman Michael Benedetto, Councilman Rafael Salamanca, Jr, as well as Council Speaker candidates Mark Levine, Corey Johnson and favorite son candidate Ritchie Torres. Bronx attorney and former Public Advocate J.C. Polanco inadvertently took it on the chin in today’s NY Post editorial shaming Public Advocate Letitia James for unnecessarily taking public matching funds in her blowout against Polanco. Although he lost against the Tish James juggernaut JC raised/spent $26,000 (no matching funds) and got 172,000 votes citywide, while independent mayoral candidate Bo Dietl raised and spent $1.3 million for a mere 10,000 votes. Polanco supporters say that his anemic fundraising was due to a certain element with city GOP politics withholding support because his criticism of President Donald Trump. 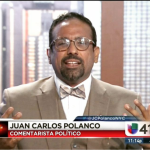 Things are still good for Polanco as he has resumed his career as a political commentator on NY1’s Inside City Hall/Road to City Hall and Pura Politica, and Univision news. On Tuesday, the NYC Board of Elections commissioners unanimously approved the Bronx Borough Committee’s (ie, Bronx Democratic and Republican commissioners) requested increase in temps hires from 16 to 20 (per party). The Bronx BOE expects that they will be conducting Special Elections shortly after the new year. State senate district 32 (Castle Hill/Parkchester/West Farms/Concourse Village/Morrisania) and assembly district 80 (Morris Park/Allerton) will become vacant as Senator Rev. Ruben Diaz, Sr. and Assemblyman Mark Gjonaj will take office as Members of the City Council on January 1, 2018. 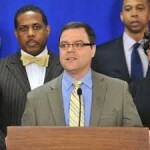 Assemblyman Luis Sepulveda, 87th Assembly District (Parkchester, Castle Hill, West Farms, Van Nest and Stratton Park). One of those hoping that Governor Andrew Cuomo calls a timely special election to the fill that Diaz vacancy is two-term Assemblyman Luis Sepulveda. This column (to Sepulveda’s chagrin) first reported on his hunger for the opportunity to succeed Rev. Diaz. Sepulveda was Diaz’s campaign manager this past election. His path is a clearer now that outgoing Council Member Annabel Palma will be taking a post in the de Blasio administration next year. Although he has been met with Independent Democrats Conference leader Sen. Jeff Klein and attended IDC news conferences, Sepulveda denies rumors that he will join the 8-member breakaway group. Sources say AM Sepulveda’s announcement is imminent. Governor Andrew Cuomo is in the New York City Area. Mayor Bill de Blasio is in New York City. 10:30 AM — Dream Act Press Conference calling for passage of the Dream Act of 2017, followed by City Council committee vote on Resolution 1484-A. Steps of City Hall, Manhattan. 12:00 PM — Council committee meeting on Reso. 1484-A. Committee on Immigration, 250 Broadway 16th Floor Hearing Room, Manhattan. 1:30 PM — Stated Meeting. New York City Council, Council Chamber, City Hall, Manhattan. 4:00 PM — Christmas in the Bronx celebration in the Auditorium of the I.S. 131 Albert Einstein School located at 885 Bolton Avenue (Corner of Story Avenue and White Plains Road), in Bronx County. Hosted by State Senator Rev. Rubén Díaz, together with Mr. Edward Cox, President of the New York State Republican Party, Assemblyman Luis Sepulveda, Councilman Rafael Salamanca and the New York Hispanic Clergy Organization. 6:00 PM — Assemblyman Michael Blake’s Annual Birthday Boogiedown. Bronx Draft House, 844 Gerard Avenue, Bronx NY, 6PM to 9PM. 3:00 PM — CM Vanessa Williams Toy Giveaway. SUYO GastroFusion, 5 West 170th Street, Bronx, NY. 3PM to 5PM.